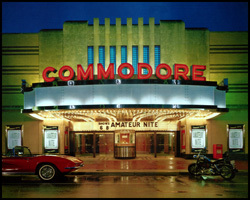 THE COMMODORE THEATRE is a luxuriously restored 1945 Art Deco style motion picture theatre presenting first run films with a fine dining restaurant within the main auditorium. 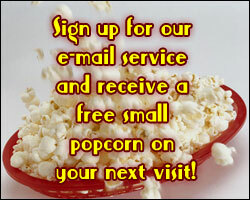 COMMODORE THEATRE gift certificates make great gifts for any occasion! Available for sale in our box office during regular box office hours. Also, by mail; please send a check to us at: P.O. Box 220, Portsmouth, VA 23705; make sure you include your name, address & phone number; also, if you wish us to send the certificate to the recipient, please include their mailing information as well. Located in historic Old Town Portsmouth, Virginia, THE COMMODORE features a 41 foot screen and THX and DOLBY DIGITAL sound. Every film is presented as it is meant to be seen, in a luxurious, state-of-the-art theatre. We now are very proud to announce that we have installed the latest in digital projection equipment: BARCO DP4K-23B with the DSS200 DOLBY server! Our presentation is better than any other theatre in the area! Another first for the COMMODORE, a dual charging station for the all electric TESLA vehicles! We now can offer FREE charging for TESLA owners who need their vehicles charged while away from home! While they enjoy a meal and movie with us, we charge their car in our private lot. Please pass this on to any TESLA owners that you might know to be traveling in the Norfolk/VA Beach, VA area. We are on the National Register of Historic Places and the Virginia Landmarks Register. We receive quite a few inquiries about our reservation policy for our dining area. The reason we do not accept phone or internet reservations is that seating assignments are done from a seating chart that is only available in the boxoffice for the same day as the performance and we find that sometimes plans change and reservations that are made more than one day ahead tend not to be used, possibly depriving someone else that table. There are a few ways to avoid the "sold out" issue in dining: plan on attending an early week night (Monday or Tuesday) as these evenings are usually slower than weekends; also most matinees are not as busy for lunch. Normally, the shows that sell out in the dining area are the Friday and Saturday evening performances; however, due to the popularity of this film, we may sell out other performances as well. If you wish tickets for any show, plan on being in line by at least one hour prior to the scheduled opening times listed below. Please call our information line (757-393-6962) for seating availibility. The Commodore boxoffice is open Wednesday, Saturday & Sunday at 12:45 PM; Friday at 5 PM and Monday, Tuesday & Thursday at 5:45 PM. Please note later open time for Friday. Our balcony is open Friday, Saturday & Sunday only! Sorry no phone reservations can be taken. Same day ticket sales, in person, at the boxoffice. 24 hour Theatre & show information: (757) 393-6962. We offer the best in sandwiches, desserts, and pizza, as well as beer, wine, and traditional soft drinks. Our unique ordering system allows you to pick up the phone on your table and place your order directly to our kitchen! daily at 7 PM; matinees Wednesday, Saturday & Sunday at 2 PM. This engagement will run through Wednesday, April 24th. Please no one under 8 years of age. This engagement starts Thursday April 25th. Due to the nature of the first run film business, we usually are not sure of our upcoming titles until a week or two prior to the opening of a new film. When the next attraction is selected, it will be posted above. How do MPAA ratings work? 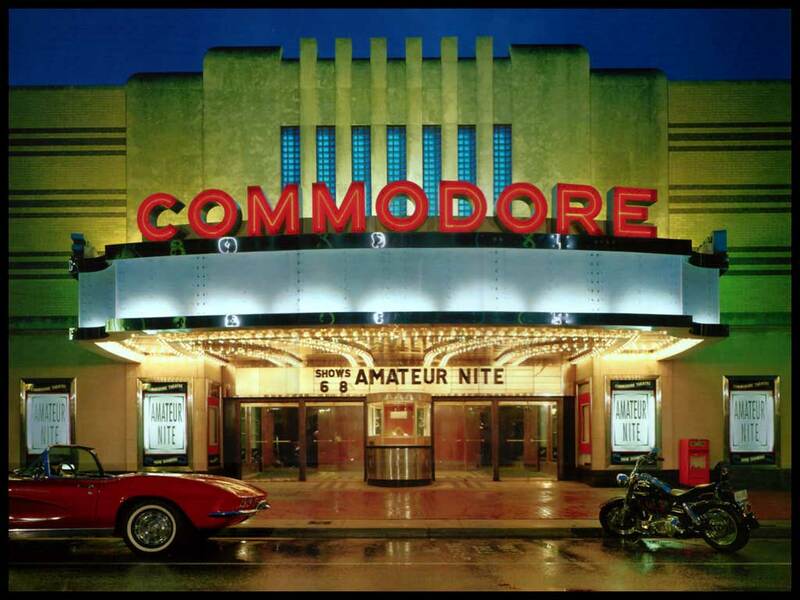 If you have an old theatre, or know someone who does, and you feel that it may have the potential to become a Commodore, please e-mail fred@commodoretheatre.com.